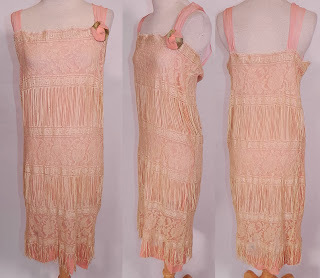 This exquisite vintage cream fringe filet lace pink silk rosette chemise slip flapper dress dates from the 1920s. 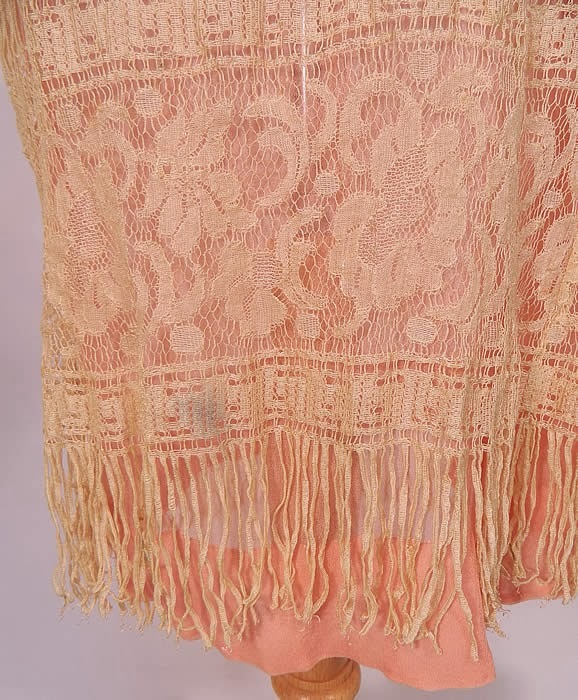 It is made of a pale pink silk chiffon slip lining underneath, with an off white cream color sheer fine unique fringed filet lace floral pattern fabric overlay. 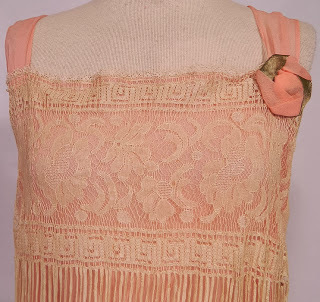 This lovely lace dress is loose fitting, with a chemise straight shift style, sleeveless, with a pink silk gold lamé rosette flower trim on front neckline shoulder, pink silk chiffon shoulder straps and is fully lined. The dress measures 41 inches long, with 34 inch hips, a 32 inch waist and 34 inch bust. 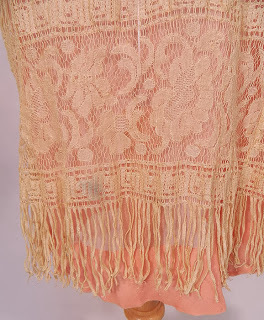 It is in good condition, with only a small grease smudge mark the bottom skirt (see close-up). 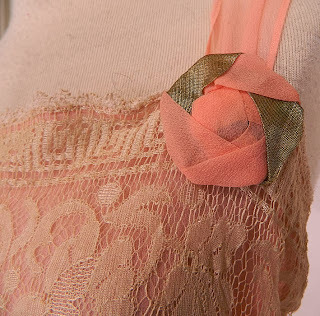 This is truly a wonderful piece of wearable lace art! 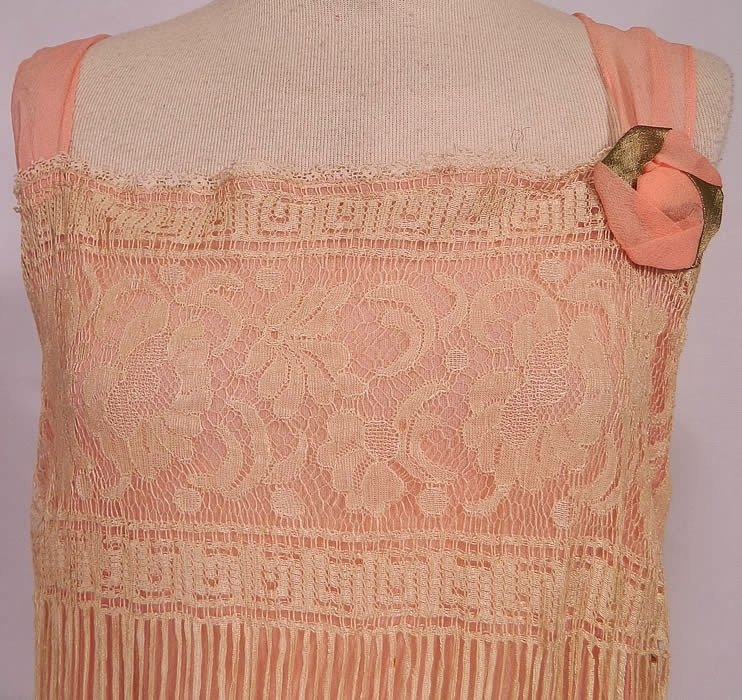 The style is probably from the earlier part of the decade.